Good morning SOTGC readers. 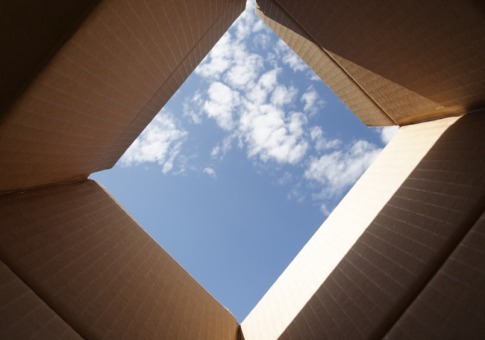 I know the cliché “think outside the box” has been discussed over and over again…but hey…why not add it in here? I wrote this post partly because more and more we are seeing innovation and creativity win over steadfast “this is how it’s always been done” mentality. The other part is that my cousin is taking a communications class and is writing a paper on sales and asked for my help. I tend to get ideas that pop into my head at random times, and as much as she appreciates the help, I doubt a call at 2 AM when I have an idea for her paper would be met with much warmth. Because of the technology and resources we have available today, people in all roles (from sales to marketing to operations) are being asked to take on more and more responsibility with their job, and produce yet even more results. For instance, I am in sales, my job is to generate revenue for the company through meeting with and getting new surgeons and EP Doctors to use my technology on certain surgeries they do. However, I also have TONS of administrative things that I must do that take a large amount of my time. Look at all the other tasks that MUST be accomplished (administrative work in my case) and how much time that will take and figure out where you can fit these in. See if you can find a perfect blend of where the variables that will PREVENT you from accomplishing these tasks could actually be influenced to help you complete them. This is where finding each person’s WIFM (what’s in it for me) and make sure you address it with them. Explain how you both have common goals and how helping you can achieve their goals as well as yours. Make it a team effort instead of “this is what I’M trying to do and you need to help me get there. Regarding the “sales” aspect of this post, remember this: becoming a valued consultant and an expert in your product/service takes creativity, and almost always thinking in an “out of the box” way to help solve your client’s need. Consumers are able to Google you, your company, any bad reviews, and your competition in minutes, it’s not enough to simply go over features and benefits anymore. One of the benefits to being innovative in the solutions you come up with, is that you not only become a valued consultant for your clients, but you get to have some fun with it along the way.